18 Reasons is a nonprofit community cooking school based in San Francisco. Our mission is to empower our community to buy, cook, and eat good food every day. To live out that mission, we offer food skills education to more than 7,000 Bay Area home cooks each year. At our community cooking school in San Francisco’s historic Mission District, we offer paid programming every day that is open to the public, including hands-on cooking classes, community dinners, and tasting seminars. Through our free Cooking Matters program, we also reach outside the four walls of our cooking school. 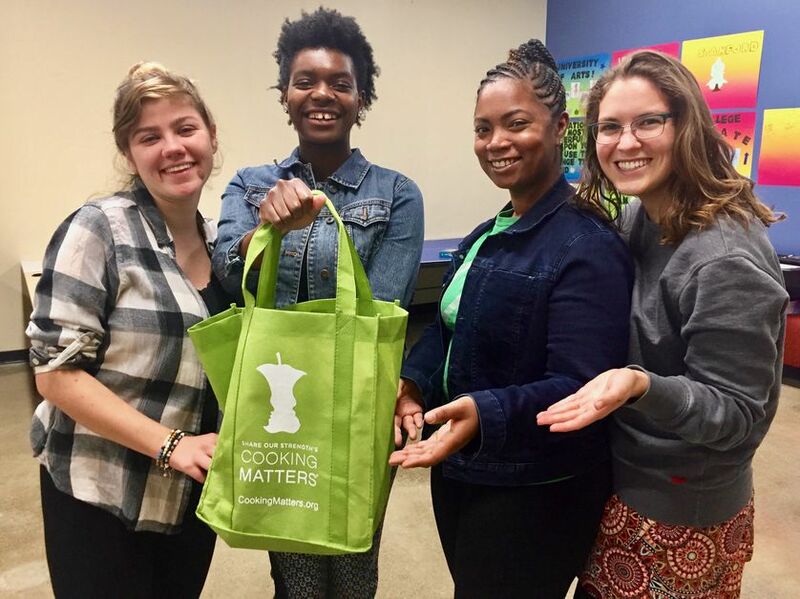 Cooking Matters is a free, hands-on cooking and nutrition education series that we provide for over 3,500 low-income families each year throughout the Bay Area to help them learn to eat healthier and stretch their food budget. Given our mission, we must ask ourselves: what does it really mean to empower our community? Too often, nonprofits and other agencies working in low-income communities look around in our under-resourced neighborhoods and see only lack. At 18 Reasons, we are instead able to tap into the groundswell of strength, resilience, and ingenuity that exists in the neighborhoods where our low-income participants live. 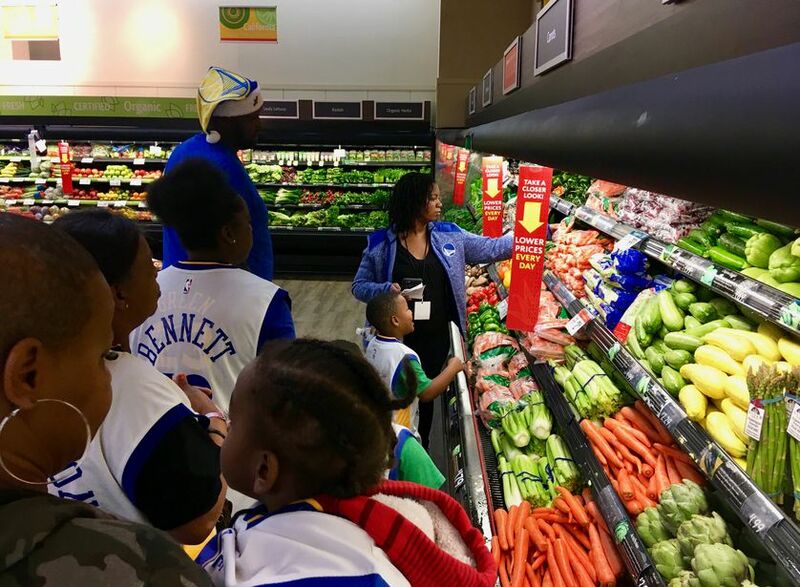 To empower our community, we invest in local leaders to help them express their passion for healthy food, so that they can become advocates for the wellbeing of their family, friends, and neighbors. Because of 18 Reasons’ commitment to empowerment, we train peer educators called Health Promoters (or promotores de salud) teach our Cooking Matters classes. Our Promoters are mostly low-income women of color who have not had access to the educational and professional opportunities traditionally required to work in the health field. We train outstanding graduates of our Cooking Matters classes in classroom facilitation, professional skills, healthy cooking, and nutrition, so that we can employ them as Cooking Matters instructors. Our Health Promoters share cultural and linguistic ties with our participants, which makes our Cooking Matters classes so much more effective and relevant for our students. We currently employ more than 30 Health Promoters to teach Cooking Matters in their own communities. Our Promoters are at the heart of our work in the community. As the old saying goes: give a man a fish and you feed him for a day; teach a man to fish and you feed him for a lifetime. Through training peer educators, we’ve learned that if you teach a man to teach, the ripple effect of that one person’s empowerment as an educator can strengthen an entire community. Empowering our community with the confidence and creativity to buy, cook, and eat good food everyday. We offer free Cooking Matters classes in low ­income communities around the Bay Area. In our classes, we cook, eat and discover how to make quick, healthy, affordable, delicious meals every day.